BOTOX® Cosmetic is a simple, non-surgical treatment that temporarily smooths moderate to severe expression lines between the eyebrows. Treatment is also helpful for correcting crow’s feet and forehead lines. BOTOX® Cosmetic is currently the #1 cosmetic treatment in the United States and is the only treatment of its type approved by the FDA. Dr. Soe has a special interest in Cosmetic Dermatology and has completed advanced training in BOTOX® Cosmetic. Her office in Dunedin offers BOTOX® for Palm Harbor, Clearwater and surrounding areas. 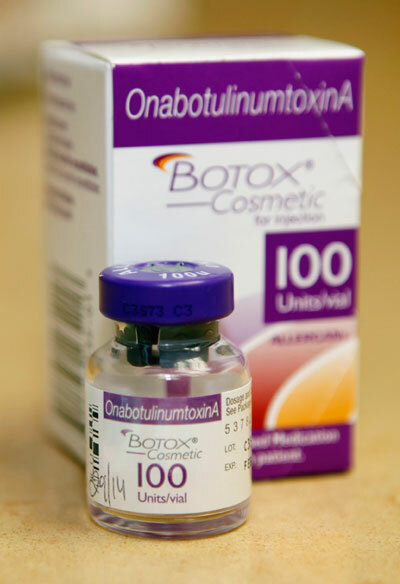 BOTOX® Cosmetic is a purified protein produced by the Clostridium botulinum bacterium. It is a non-surgical, physician-administered treatment that can temporarily reduce moderate to severe frown lines between the brows, forehead lines, and lines at the corners of you eyes.. During treatment, very low doses of BOTOX® Cosmetic are administered via a few tiny injections directly into the muscles that cause those stubborn lines. When Botox® Cosmetic is injected into the muscles surrounding the brow area for instance, those muscles cannot “scrunch up” for a period of time. They are paralyzed. Any wrinkles in that area, often referred to as furrows or frown lines, temporarily go away. The treatment is usually done in about 10 minutes and no recovery time is needed. Botox sounds like magic, is it? BOTOX® Cosmetic is not magic. It’s medicine. Botox will not radically change your appearance or make you look 20 years younger. Because it’s highly localized and administered intramuscularly, its effects are usually confined to the region of injection, and Botox does not remain in your body indefinitely. Why go to Virginia Street Dermatology for your Botox treatments? We are a member of the BOTOX® Cosmetic Physicians’ Network. We are a medical practice that focuses on facial aesthetics, and we have detailed knowledge of facial anatomy and experience injecting BOTOX® Cosmetic. We also offer other facial aesthetic treatments. After treatment with BOTOX® Cosmetic, you may look in the mirror and see a marked improvement in the moderate to severe frown lines between your brows. Although the results are visible, a treatment with BOTOX® Cosmetic will not radically change your facial appearance or make you look as if you “had work done.” The muscle activity that causes frown lines between the brows is simply reduced, so you can still frown or look surprised without the wrinkles and creases between your brows. When considering your facial aesthetic options, BOTOX® Cosmetic is quite affordable. According to the American Society for Aesthetic Plastic Surgery’s 2003 survey, BOTOX® Cosmetic is one of the least expensive facial aesthetic procedures in the United States. Like other appearance-related investments, such as hair coloring and cuts, teeth whitening and chemical peels, the cost must be weighed relative to your expectations. To get the best results, it’s important to go to a medical doctor who is experienced in administering BOTOX® Cosmetic. We are a member of the BOTOX® Cosmetic Physicians’ Network. We are a medical practice that focuses on facial aesthetics, and we have detailed knowledge of facial anatomy and experience injecting BOTOX® Cosmetic. Visit their web site at: http://www.botoxcosmetic.com/. To schedule a consultation or appointment, call 727.734.4551.